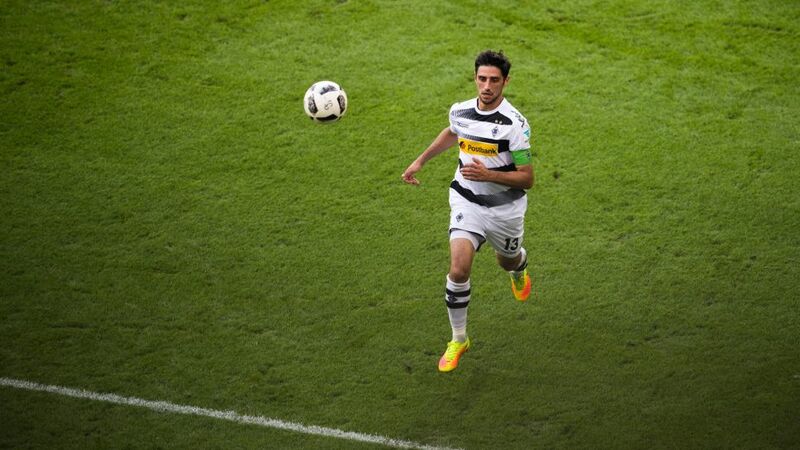 Borussia Mönchengladbach captain Lars Stindl - scorer of six goals in all competitions this season - says his side just need to find the final touch against Manchester City. After their last-minute loss to 1. FC Köln in the Rheinderby, Borussia Mönchengladbach will look to get back to winning ways against Manchester City FC in the UEFA Champions League on Wednesday evening (kick-off: 20:45 CET/19:45 GMT). Gladbach captain Stindl has 69 Official Fantasy Bundesliga points. Snap him up here! The Foals welcome the English Premier League outfit to the BORUSSIA-PARK knowing that a win would see them draw level with Pep Guardiola’s side on seven points, with three left to play for in Group C. Gladbach coach Andre Schubert boasts an admirable record against former FC Bayern München counterpart Guardiola, with the reverse fixture his first defeat to the Catalan in four meetings. FIFA World Cup winner Christoph Kramer is suspended for the encounter alongside Julian Korb, but Denmark centre-back Andreas Christensen is returning to full fitness after making his first start in over a month in the 2-1 defeat to Köln, and captain Lars Stindl remains ambitious. "We’re just not scoring goals," said the 28-year-old, who has nonetheless single-handedly managed three in the Bundesliga and two on the continent this term. "We’re only missing the final touch up front and a bit of luck. We want to play a good home game and secure third place early. That is our big goal and we believe in our chances. We know what we are capable of." A draw would secure Gladbach’s progress to at least the UEFA Europa League knock-out stages should Celtic FC lose to FC Barcelona, as is expected, in the other group game. A new pitch was laid at the BORUSSIA-PARK during the recent international break, and versatile USMNT star Fabian Johnson thinks it could herald something of a fresh start for the Foals, who have slipped to 13th domestically in recent weeks. Manchester City will be without captain and former Hamburger SV defender Vincent Kompany, though Ilkay Gündogan - most recently of Borussia Dortmund - looks set to reacquaint himself with the Foals having been rested last weekend in the immediate aftermath of the international break. Gladbach will be buoyed by the fact that City have only managed a single clean sheet in their last 12 matches in all competitions. Win, lose or draw, a bloody nose for the four-time English champions will be a timely boost for Gladbach before their third home game in a row - against TSG 1899 Hoffenheim - next Saturday. Click here for more Borussia Mönchengladbach club news! Click here for the Borussia Mönchengladbach-TSG 1899 Hoffenheim Match Centre!